With WordPress as the most popular content management system, and a suitable WordPress theme, you can easily create websites for bakeries, cake shops, pastry shops, cafeterias, cafés, sweet shops, cakeries or other related food businesses. Professional WordPress themes usually come with great, useful features and if you opt in for premium WordPress themes you will benefit not only from dedicated support, but also from additional quality features which can contribute to the success of your food business when launching a bakery, café, restaurant or cakery WordPress website. When using WordPress you are able to create all types of different websites or blogs, starting from professional business websites to one-page online presences or else. Especially in the past few years lots of niche WordPress themes have been designed and developed to cater to the needs of certain niches. Bakery, café, restaurant, cakery, pastry or sweet shops are amongst those niches and you can now select from plenty of WordPress themes which are perfectly suitable and offer all necessary features and options to launch websites for the sweet food industry. These WordPress themes come with beautiful and unique designs and offer highly-professional features to run food businesses. So in case you are planning to set up an online presence for your sweet business and if you’d like to launch a muffin, cake, ice cream, café or bakery WordPress website or your own blog about baking recipes, you’re welcome to have a look at our collection of beautiful and feature-rich bakery WordPress themes. We’ve collected some of the best and most popular bakery WordPress themes out there which will help you to present your offerings, services and products in a beautiful way. Bakery is a powerful WordPress theme which can be used to launch WordPress websites related to the food industry and businesses, like bakeries, cafés, restaurants or else. Bakery WordPress theme is furthermore WooCommerce ready and allows you to setup online stores with ease. Take advantage of the included image gallery feature to present your bakery business in best possible way and to attract guests and customers to keep your sweet business running. Cakery WordPress theme has been designed and developed to create beautiful websites for bakeries, pastry shops, cafés or related food businesses. This WooCommerce compatible WordPress theme offers several useful features to launch professional websites with ease. Benefit from its powerful admin options, two header styles, 5 different colors, drag & drop page builder and a fully responsive layout to present your content well-organized on all types of mobile devices. HappyCake is a SEO optimized restaurant WordPress theme which comes with a fully responsive layout and displays your articles beautifully on all kinds of screen size resolutions. This restaurant WordPress theme offers a page builder as well as several custom page templates to create all kinds of different pages to display videos, photos, contact page or dynamic maps. With HappyCake you can create professional websites for small bakeries, niche restaurants, fine cafés or else. Cute Cake is a one-page WordPress theme which is fully mobile compatible. This theme is highly flexible and unique in design. Cute Cake is ideal for ice cream shops, bakeries, gift shops, etc. It is easy to customize and comes with great theme options. Cute Cake also comes with useful visual shortcodes and post formats. It is translation ready, has a fully responsive layout, 600+ Google Fonts and offers SEO optimization, 8 custom widgets, typography options and many other great features. JustShop is a neat bakery WordPress theme which was especially built for WooCommerce WordPress websites. It comes with several modern and beautiful header styles, 5 gorgeous color pallets, AJAX product loading, drag & drop page builder, 6 beautiful colors, dedicated support, different colored background and lots more. JustShop WordPress theme makes use of AJAX product filtering and loading to display your products in a nice, dynamic and very appealing way. Sweet Cake is a responsive WordPress premium theme that comes with cross-browser compatibility and further great features to create appealing and beautiful websites. Sweet Cake is based on HTML5 and CSS3 and is thus perfect for any kind of modern professional online presence. 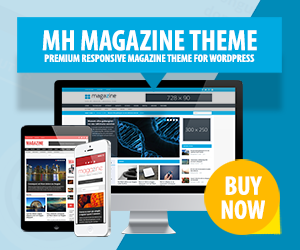 This WordPress theme is a one-page template which offers a fully responsive slider to present your content prominently. In addition Sweet Cake also includes PSD files with beautiful icons for designers to work with. Cafeteria is a fully responsive WordPress theme with an elegant and unique design. This bakery WordPress theme offers such useful features as a powerful options panel, various different shortcodes or more than 600 Google Web Fonts. This beautiful bakery WordPress theme is also fully localized to translate your website into any other language that is supported by WordPress. WindCake is a one-page WordPress theme with a 100% responsive layout. This bakery WordPress theme has a very unique and pure design. It is retina ready and can be translated into any other language you like. Besides, WindCake comes with a widgetized homepage, advanced admin panel, 4 color schemes, 4 background styles, more than 500 Google Fonts, 9 custom widgets and clean code. Cream is perfectly suitable for websites related to the sweet food business and industry, like bakeries, pastry shops, cream parlours, sweet shops or small cafés. This unique and modern WordPress theme can be used to setup professional websites with an online shop included, as Cream is compatible with the popular WooCommerce plugin. You can customize your site by taking advantage of the useful features that come along with this food business theme, for example Revolution Slider, various styling options, custom templates and more. Kelly WordPress theme offers a responsive layout and a beautiful design. You can use a custom logo and implement a featured slider. Kelly supports featured widgets on its homepage and provides a 3-column footer widget area, theme options and favicon option. You can further benefit from support for Google Analytics Code, mobile compatibility and cross-browser compatibility. This feminine bakery WordPress theme is moreover fully customizable and very user-friendly. Royalty Shop is a fully responsive and WooCommerce ready WordPress theme which has been developed to create food related business websites of any type. With Royalty Shop you can easily launch professional websites including an online shop. This WordPress theme is ideal for bakeries, cakeries, pastry shops, restaurants or other food businesses. You'll benefit from the many included features and options, like cross browser support, nice image gallery, useful reservation system, contact page any many more.